Terrence F. Williams was appointed by the Governor General of Jamaica to serve as the Commissioner of the Independent Commission of Investigations (INDECOM) since inception in 2010. 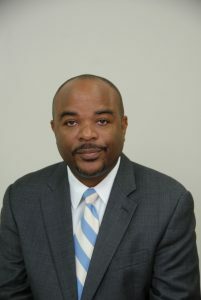 He is an Attorney- at-Law in the Jamaican and Eastern Caribbean Supreme Courts. He has been practicing since 1990 as an advocate in major criminal trials and appeals; and he has argued numerous cases, to include, before the Privy Council in London, touching on criminal law, procedure and evidence. Mr. Williams served as the chief prosecutor and first Director of Public Prosecutions of the British Virgin Islands, during the period 2000- 2010. Prior to this, he was in private practice (1995 -2000) and served in the Office of Director of Public Prosecution in Jamaica (1990 – 1995), rising to Acting Deputy DPP. Commissioner Williams has had articles published in international legal journals on money laundering and public corruption. He was Course Director for the Norman Manley Law School Criminal Procedure Programme.